In February, I fractured my wrist in three places and spent two-and-a-half hours waiting to be X-rayed at UCLA’s Westwood emergency room. The next day I traveled back to Westwood to get a knuckle-to-elbow cast. Over the course of treatment, I saw one nurse practitioner, four doctors, and underwent a series of X-rays and MRIs. Even with insurance coverage, all of that cost me nearly $1,000 out of pocket. It didn’t have to go down like that. 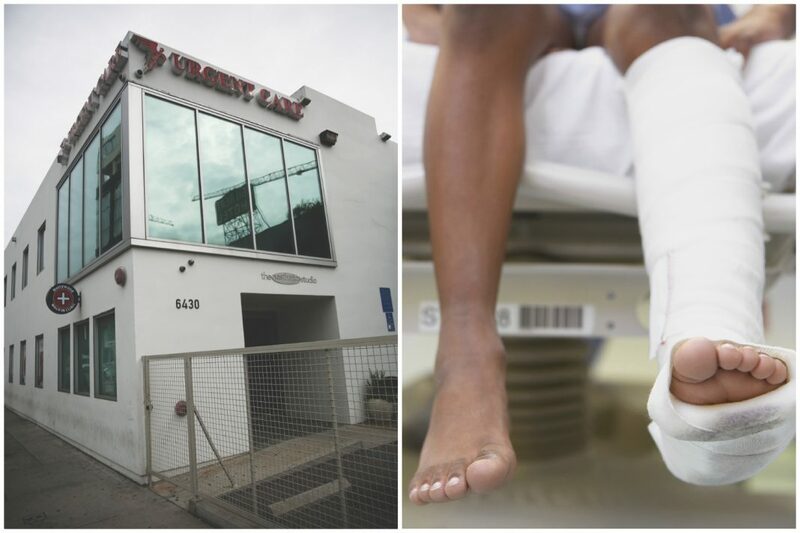 I could have gone to one of the many urgent care facilities that seem to be sprouting as quickly as weed dispensaries in strip malls and on corner lots—there are at least 15 centers within walking distance of my Hollywood apartment. Urgent care focuses on solving minor to mid-level medical problems in the same amount of time you’d spend waiting for your Postmates order to arrive. Urgent care centers are growing at a time when primary care practices are declining statewide. A 2017 study by UC San Francisco predicts a shortage of 4,700 physicians by 2025. The homeless epidemic has put additional stress on health care markets, leaving many emergency rooms overcrowded and understaffed, all of which contributes to the urgent care boom. While there isn’t a database that accounts for urgent care centers in L.A., a 2018 report by the Urgent Care Association listed nearly 7,000 centers nationwide in 2015. That number had ballooned to 8,285 by 2018, with about a tenth operating in California. Most of these facilities stick to tried-and-true MOs: simple, inexpensive care that relies on a low-overhead, high-volume model. This being L.A., you’ll even find some offering Botox injections and hair removal. There is a catch. As with dentists or physical therapists, your experience at urgent care will largely depend on where you go for treatment. For example, I recently headed to an urgent care center after a sliver of glass splintered into my thumb. The wound wasn’t healing, and I couldn’t hit the space bar on my computer or screw the cap on my gas tank. I searched for an in-network care center on my insurance provider’s website, and the closest one was on Melrose Avenue, near Paramount Studios. Bright and sparsely decorated, the place looked like a Modernist take on a high school guidance counselor’s office. The waiting area was empty, save for a 30-something guy paging through a magazine. An antiseptic aroma wafted through the cramped quarters as the receptionist took my insurance information. She then directed me to a medical assistant who took me around a corner into one of the center’s six examination rooms. The space was smaller than the ones at my primary care, but more private than the Westwood ER’s curtained triage station. The medical assistant recorded my vitals, asked about allergies, and had me explain the infection on my thumb. Seven minutes had passed since I walked through the door. I could hear the doctor working his way down the line of exam rooms. Five minutes later the receptionist knocked on the door to explain that my HMO insurance didn’t cover that facility. She broke down what it would cost me out of pocket: $159 to see the doctor and 60 bucks for any additional services, like antibiotics, steroids, or stitches. I remembered an urgent care center a few blocks away had advertised $89 visits, but decided to go home and sterilize and bandage it myself. That’s one of the pluses of urgent care—fast treatment delivered on the cheap with a modicum of charm. My neighbor, a self-employed carpenter, had more success when he hustled to an urgent care on Selma Avenue after noticing a large streptococcal boil on his rib cage. He was a bit embarrassed by its size, but the anonymity afforded by such facilities is part of the appeal (the mesmerized doctor told him it was the largest boil she’d ever seen). She lanced it, dressed it, and prescribed antibiotics. He was out the door within an hour. That’s one of the pluses of urgent care—fast treatment delivered on the cheap with a modicum of charm. Part of the reason for the disparity in consumer experience is that urgent care oversight is spread across a Byzantine maze of county and state agencies. Some facilities are supervised by the California Department of Public Health while others come under the jurisdiction of the L.A. County Department of Health Services. The Medical Board of California regulates private practices on a per-doctor basis; insurance companies and health care providers only track in-network operations. In an attempt to bring some order to this regulatory Wild West, a handful of states, including Massachusetts and Arizona, have taken to licensing urgent care centers. But most states, including California, do not. While an increasing demand for urgent care is likely to bring more scrutiny in the future, to what effect is hard to say. Currently, though, the lone arbiter for urgent care in Los Angeles is Yelp, which ranked the higher-end center that didn’t take my HMO at the top of local providers. Even in the current egalitarian realm of urgent care, a hierarchy exists. A friend, who sought out an inexpensive urgent care facility in Echo Park after he went surfing and got stung by a stingray, comes to mind. He ran into a language barrier with the practitioner and had to pantomime what brought him in as the pain grew excruciating. The doctor had to look up what to do on the internet. Had my friend been allergic to the stingray’s venom, he says, he might have died trying to explain what happened. low-income groups who often incur hefty medical bills after nonemergency visits to the ER—is one of the industry’s main goals. Next articleWhich of L.A.’s Members-Only Clubs Is Right for You?